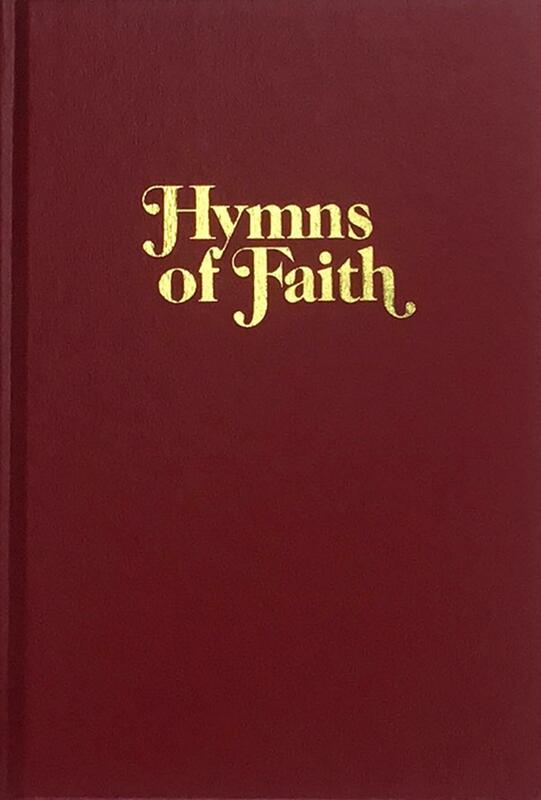 HYMNS OF FAITH is a hymnal that reflects a reverence for the past. The purpose of this hymnbook is a careful continuation of our time honored traditions of quality hymnbook publishing established over a century of service to the churches of America and Canada. The contents of this book were determined by a survey of 300 denominational and independent church leaders with only the favorite, most singable hymns and evangelistic songs included. A scripture verse appears with every title and all responsive readings are from the King James Version. LOOSE-LEAF EDITION - A looseleaf, flat opening edition of HYMNS OF FAITH is offered particularly for organists, pianists and choir directors. It is also ideal for the home musician's use. This special edition is available in red only at the price of $29.95. IMPRINTING - A very popular option for customers, it is possible to add an identifying church imprint at the bottom of the outside front cover of your hymnals. This special service requires two weeks for completion. Spiral bound books cannot be imprinted. BOOKPLATES - As an additional service, we supply free of charge and upon request "Presented To", "In Memory Of" and "In Honor Of" bookplates with your hymnal order. Hymns of Faith - Looseleaf Ed.